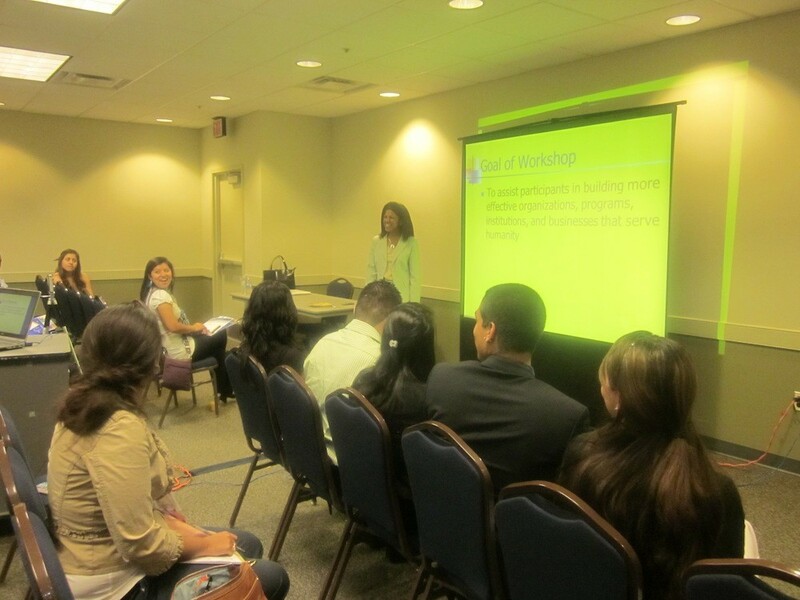 The United States Hispanic Leadership Institute held its Southeast Regional Conference in partnership with Georgia State University’s 4th Annual Latino College Leadership Summit in Atlanta last month. Hosted on the campus of GSU, March 23-24, the conference seeks to develop the skills of Georgia-area students in order to foster leadership development within the community. Over seventy-five students from seven colleges throughout Georgia participated in the event. Carlos Ojeda, Jr. and Ernesto Mejía of Cool Speak were the featured speakers of the conference, and I served as one of workshop presenters. As always, I support USHLI whenever and wherever they need me. Based in Chicago, USHLI is led by Dr. Juan Andrade, who serves as its President and CEO. According to Henry Cisneros at the USHLI National Conference in February, “Of all the tremendous leadership of national Latino organizations, no one has more stamina, continuity, vision, effectiveness and results than Dr. Juan Andrade.” What a complement! Amy Lucina Molina serves as the Coordinator of the Office of Latino Student Services and Outreach at Georgia State University. Her hard work is reflected in the exemplary outcomes of the leadership conference. This year I presented two workshops: “Sin Fronteras: Building Mulit-Cultural Alliances and Partnerships” and “We Have the Power, so Let’s Use It! : Advancing Civic and Political Engagement within the African American and Latino Communities.” During the sessions the student participants developed some impressive solutions on coalition building and civic engagement. In fact, during the civic engagement workshop the students created strategies to prevent the passing of Georgia Senate Bill 458, which attempts to deny undocumented immigrants the opportunity to attend college. I was extremely impressed by the students, their passion and commitment to leadership, and their willingness to make a difference in their communities and nation. I know that through their dedication and hard work, we will solve some of America’s most challenging issues. USHLI needs your support to continue their critical and much needed work in the area of Latino leadership development. Consider doing this by participating in a raffle to win a car. The Buick Division of General Motors has donated a 2012 Verano to USHLI to raise funds for scholarships and internships. For the raffle ticket price of $100, you can contribute to the fundraiser as well as potentially win a new car! USHLI seeks to sell 1000 tickets by the end of July with the expectation of raising $100,000. The winner will be announced at USHLI’s Annual Dinner on August 16th, 2012. To contribute to this noteworthy effort by purchasing your raffle ticket(s), contact USHLI at (312) 427-8683.
tagged: Georgia State University, Latino College Leadership Summit.